“… he prays five times a day, he fasts. Not right now. Muslims are allowed to refrain from abstinence if they are away from home, as Ali is while in Cardiff on England duty. Athletes can also defer the fast. The religious observance, however, remains and Ali says he draws strength from it. 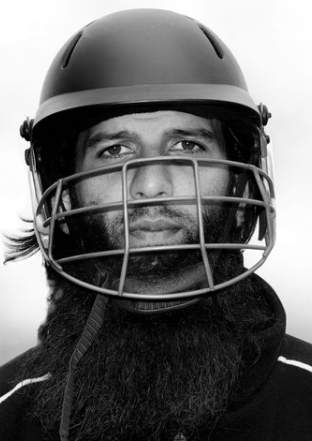 He is not the first Muslim to play cricket for England but he is probably the most recognisably devout. Asked about Olajuwon’s comments (that Ramadan gives him added advantages), he concurred. He said he scored more runs and played better during Ramadan because he was zoned into his game. In a nation not known for spiritual fervour, some might find that hard to believe. Sport and religion do not mix, we are told. On Thursday, however, Ali turned in the performance that proved this is not the case. An aggressive innings of 77 was followed by two key wickets, those of Australia’ s in-form batsman Steve Smith, and captain Michael Clarke. The second was a lovely caught and bowled. Ali broke into a huge grin and abandoned all reserve in his celebration. This was a performance of great bravery. Australia had, as expected, tried to hit him out of the attack early on, maybe even take him out of the series. 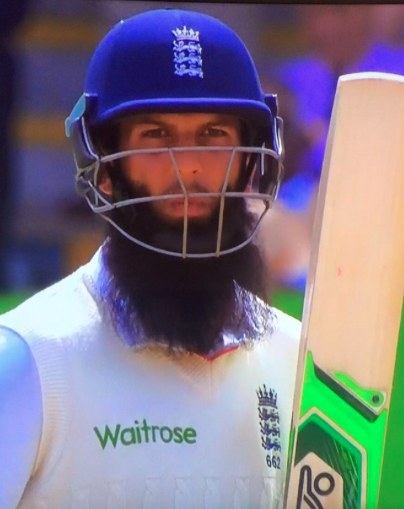 If they could turn Ali into a liability with the ball that might threaten his place in the side and undermine a key weapon for England – his danger with the bat at number eight. By biting back, by taking two of the most prized Australian wickets, Ali proved he was a player of substance and no little courage. At that moment, for all the doubts over his effectiveness in this Ashes, he emerged as one of the key men in this Test. And while it will not last, he also had a Test strike-rate superior to England’s spin legend Graeme Swann.